Families, soldiers, and young people in Judea and Samaria receive gift packages with locally-produced products. Residents of Judea and Samaria, as well as IDF soldiers, were surprised to receive "Kimcha DePischa" (literally "flour for Passover", but used today to refer to food or fundss for the holiday) packages made up of products from Judea and Samaria, ahead of the Pesach (Passover) holiday. The initiative was spearheaded by Lev Ha'olam, which fights the global boycott of Israel and helps support producers in Judea and Samaria. 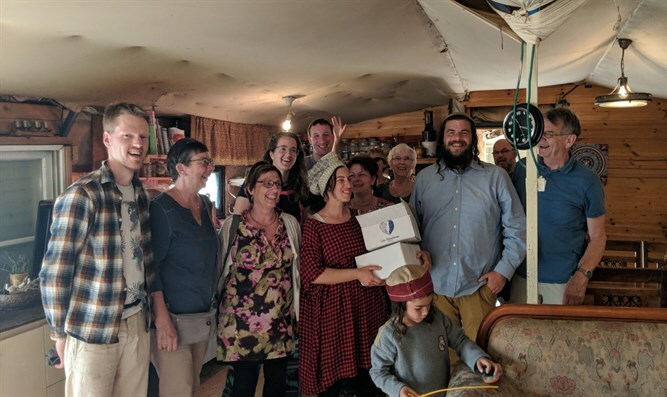 Supporters of the organization purchased the packages from the Lev Ha'olam website, which were given as a gift to families in Judea and Samaria, "hilltop youth," and soldiers. The organization invited many of its supporters to participate in the operation. The packages include a variety of products for the holiday, including wines, charoset, dried fruits, spices, sweets, snacks and more, all of which were made in Judea and Samaria. 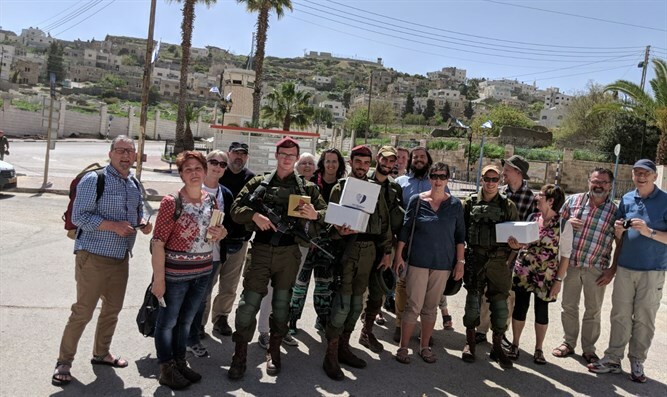 Recipients included families in Gush Etzion, youth from outposts in Samaria, as well as soldiers in Hevron, who also received heartfelt appreciation for their service in ensuring the security of the residents. 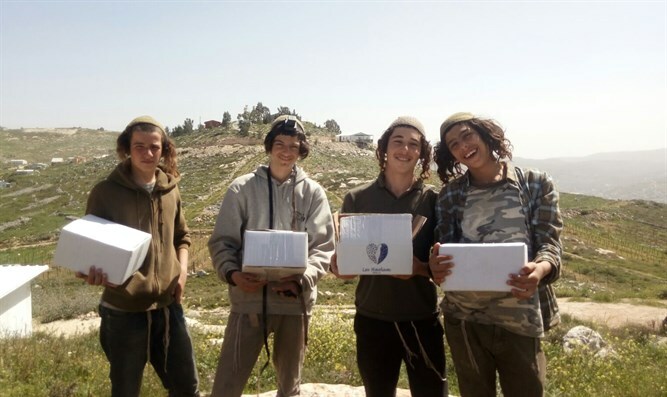 "A package of gratitude to the settlers," said Lev Ha'olam Founder Nati Rom. "Packages of goods from Samaria purchased by foreign residents and given back to the residents of Judea and Samaria and to the soldiers are a sign of gratitude for their attachment to this wonderful region, taking into account all the challenges facing them - and their reinforcement in the future."